As you could read in the title of the post, today I bring you a short review of something that I want to start introducing on the page: cosplay wigs! The wig is by Nico Yazawa, LoveLive! 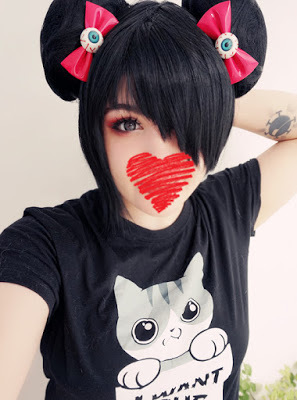 It is a short wig, about 30cm long, black (the black of the wig is very beautiful and natural, ), resistant fiber and brings with its two clips (the buns / bows), + hairnet Thank you very much. Something that caught my attention was that the base of the wig and the bows came in different bags. Maybe it’s because it’s the first time I ask for a wig with ” big ” accessories (bows, ponytails …) and they always come like this, but I did not know it. I liked it, ww. One thing I really liked about the wig was the bangs. In the images you will see it cut to my taste, but it has a rather long and abundant fringe, perfect for personalizing the wig. It is a wig of very good quality, it is very natural and the sun does not shine as much as others I have had, I recommend this wig store. Although it is cosplay, my intention is not cosplay Nico, I simply liked the wig, since having base + buns can be given various styles and uses (‘∀ `) ノ ~ ♡ And I think I will use the base a lot Of the wig for photo sessions and more ‘daily’ styles, as I loved the cut I made, ww. 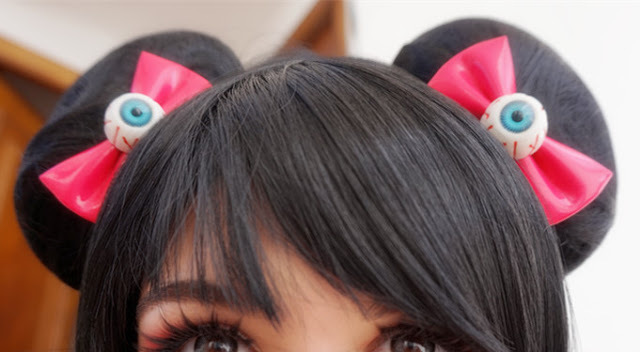 Yes, I must admit that one of the reasons I wanted the wig with buns was to be able to add accessories like bows, eye-shaped tweezers, bones, skeleton hands, horns, etc … as it would give a harajuku touch Very cute! If are interested in more products, such as Sinoalice, Persona 5, League of Legends, you can visit their wig store. 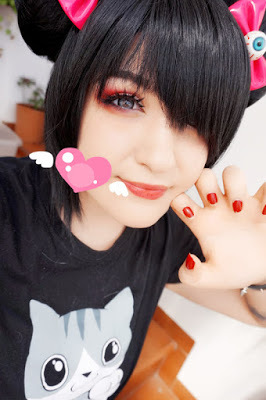 This entry was posted in Buy Cosplay Wigs, L-email Wig review, Wigs and tagged anime cosplay wig, anime wigs, best cosplay wigs, cheap cosplay wigs, cosplay store, L-email wig review, L-email wigs.